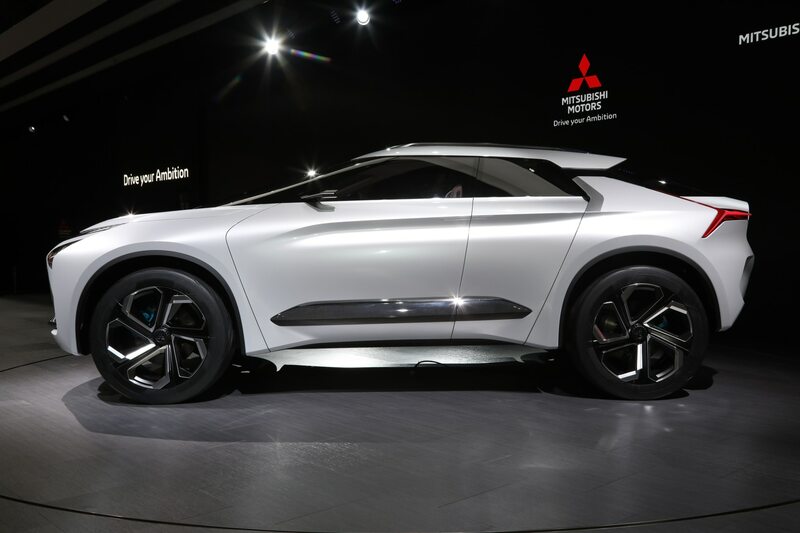 Mitsubishi wants you to forget about its “fuelish” recent past and replace it with its more palatable electric dreams, like the e-Evolution Concept that made its debut at the 45th Tokyo Motor Show. The all-electric four-wheeler appears to be a cross-country tourer that should be right at home on road and off. It’s powered by three high torque, high performance electric motors. The battery is located under the floor in the middle of the vehicle and helps provide a low center of gravity. No range or power figures have been announced at this time. 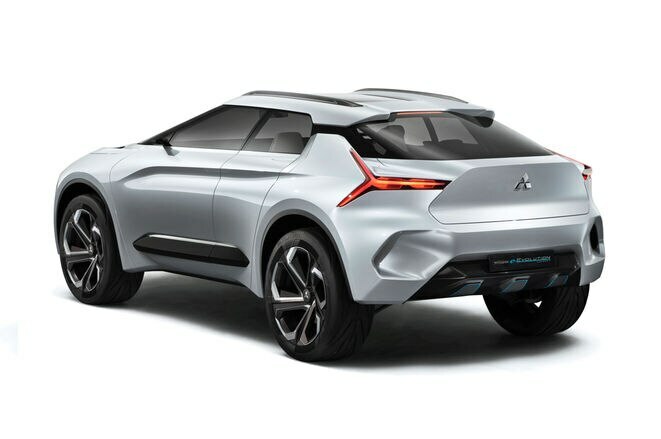 “We aim to provide vehicles that fulfill our customers’ desires through outstanding design, combined with the power, authenticity, and carefully-considered functionality Mitsubishi Motors is known for,” said Tsunehiro Kunimoto, Mitsubishi global design head, in a statement. 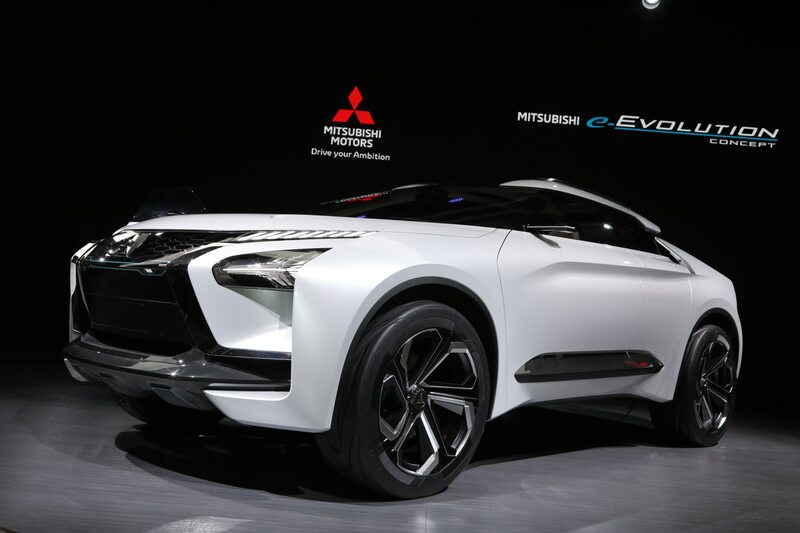 The setup is combined with Mitsubishi’s Super All-Wheel Control (S-AWC) vehicle dynamic control system. 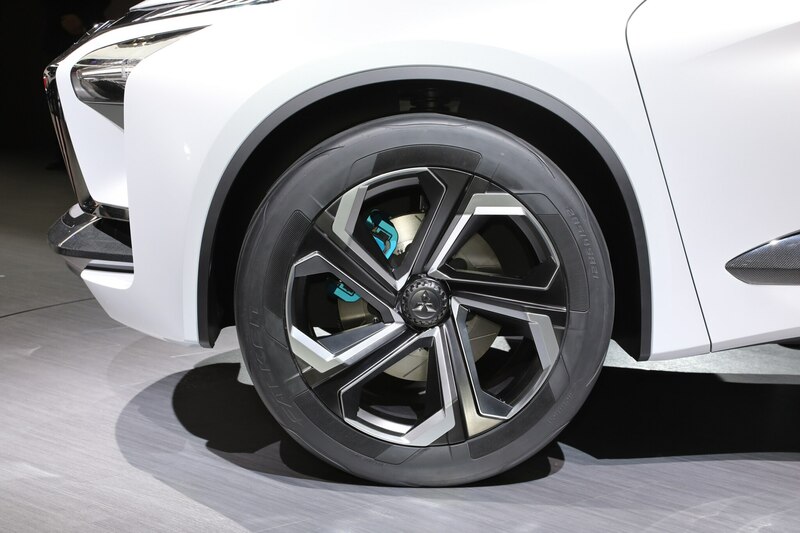 Stopping power gets help from electric calipers instead of conventional hydraulic ones, according to the maker. 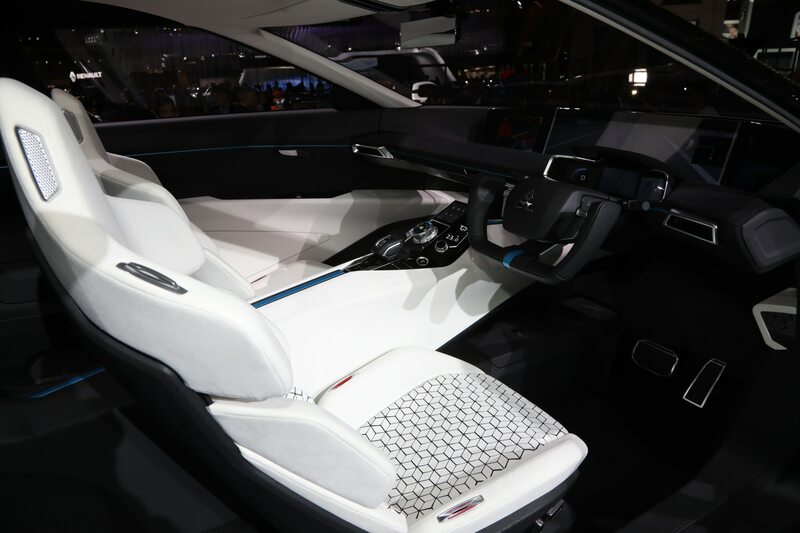 Up front, the concept’s black grille is shielded under glass. Underneath it are cameras and sensors. Massive air intakes are found beneath the headlamps to help cool the electric brake calipers. Mitsubishi says that drawn-in air passes jet tailfins on the C-pillars before exiting on either side of the rear bumper. 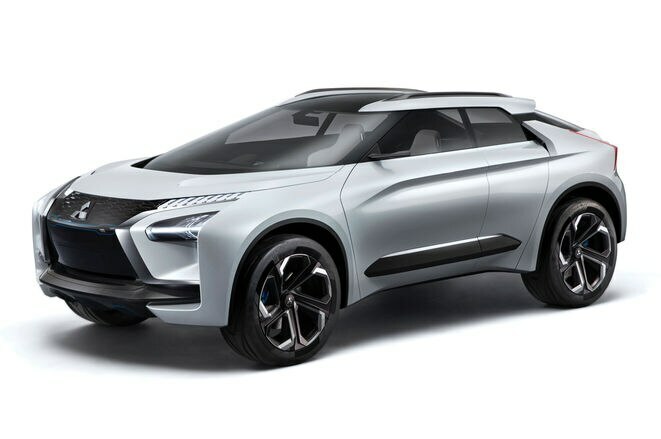 A sharply slanted front windshield and short overhangs give the concept vehicle an athletic stance. It appears to have a high ground clearance, but no dimensions have been provided from the maker. Wide running bars flank the glass roof. 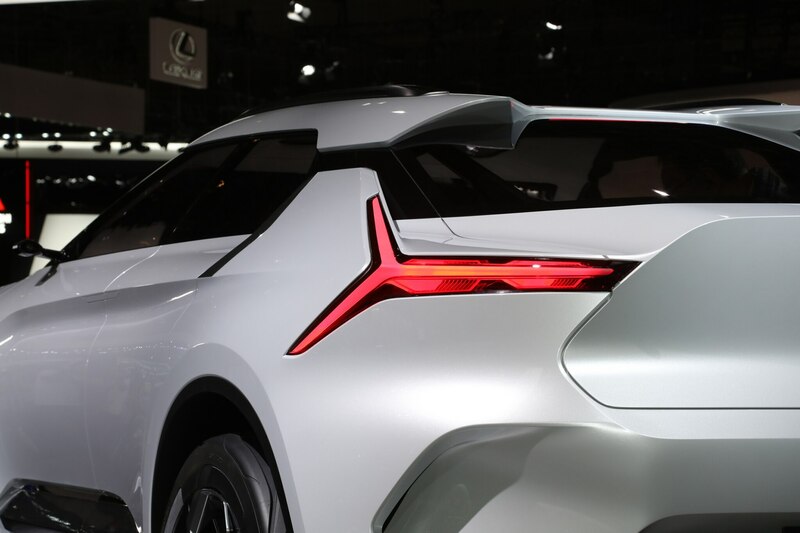 Around back gets a large hexagon shape flanked by Y-shaped taillights. 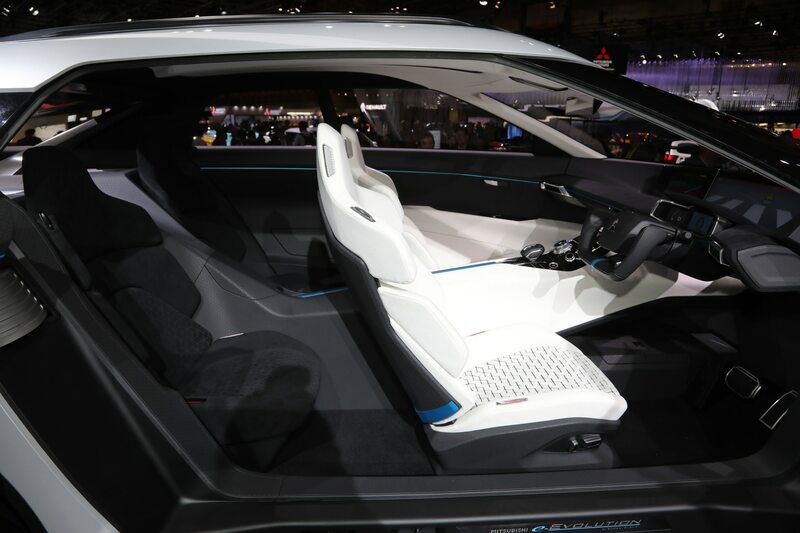 Inside, the instrument panel appears to float in front of the driver according to Mitsubishi. There’s a large flat screen that spans the dashboard that is flanked by two smaller ones that display front and rear camera images. 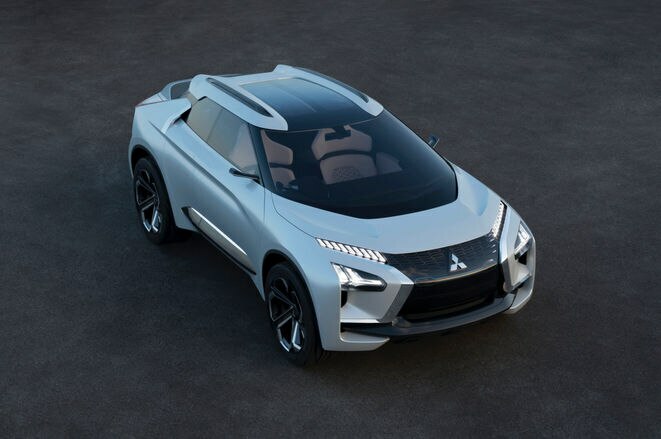 Mitsubishi claims that the concept utilizes an Artificial Intelligence (AI) system that augments the driver’s capabilities. Sensors allow the AI system to read changes in road and traffic conditions, as well as the driver’s intent. Sounds fine and dandy to us, as long as it can compute that our intent is to have lots of off-road fun with it.